'' We did not abandon #Dapchi security, we handed it over to the Nigerian police''Nigerian Army replies Yobe governor. 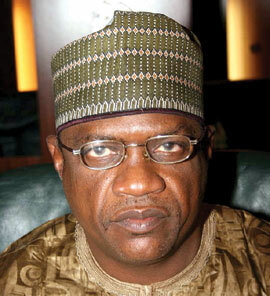 Over the weekend, the Yobe state governor, Ibrahim Gaidam, accused the military of withdrawing troops from Yobe community community one week before Boko Haram members attacked the Government Girls Science Technical College in Dapchi and abducted 110 of the female students. Governor Gaidam had posited that if the military had not withdrawn its men, the unfortunate incident wouldn't have happened. Although this Headquarters will not attempt to join in any blame game, it is very expedient to set the record straight for the benefit of posterity. In carrying out its mandate to counter terrorism and insurgency in north eastern Nigeria, Operation Lafiya Dole has been alive to its responsibilities vis a vis the fight against Boko Haram insurgents. Several communities and Local Governments that were hitherto under siege of the insurgents have been liberated and the insurgents pushed out . While troops continue to trail and decimate the remnants of the insurgents in the hinterlands, the security of the liberated communities and towns fall in the hands of the sister security agencies. The recent dislodgement and further decimation of the insurgents from their enclaves in the Sambisa and the Lake Chad Islands are testimonials to the effective operations of troops against the insurgents. Additionally, troops are regularly conducting long range patrols, raids and ambushes to canalise and take out fleeing insurgents. Given all these efforts, it is very astonishing and shocking that such unfortunate comment and allegation is been touted against the loyal and dedicated troops of Operation Lafiya Dole. Contrary to the comments being circulated, troops earlier deployed in Dapchi were redeployed to reinforce troops at Kanama following attacks on troops' location at the Nigerian - Nigerien border. This was on the premise that Dapchi has been relatively calm and peaceful and the security of Dapchi town was formally handed over to the Nigeria Police Division located in the town. Troops' redeployment was therefore done in tandem with the exigencies of operation and not as misconstrued. It is thus obligatory, to state that the allegation reportedly attributed to the Governor of Yobe state is misleading and misinforming. We reiterate our commitment and determination to carrying out our mandate to fight Boko Haram terrorists in the north east. We also implore members of the public to continue to support us with credible information on the whereabouts of the Boko Haram terrorists. We would also like to assure the parents, government and the good people of Yobe State and indeed members of the public that we will not rest on our oars in the search and rescue of the abducted school girls and any other persons held captive by the terrorists.